Samsung's most-awaited Galaxy UNPACKED event has been scheduled for February 20 in San Francisco this month. We already know for sure Samsung is continuing its Galaxy S-series legacy further by introducing the all-new Galaxy S10 lineup during the event. But apart from the Galaxy S10, Samsung is going to have so many other surprises as well. In what could be the biggest surprise, Samsung is likely to unveil its foldable phone during the event. In a recent development, Samsung has suggested the arrival of its foldable phone at its Galaxy UNPACKED event on February 20. In their recent social media teaser video, Samsung sort of confirmed they are indeed serious about unveiling their first foldable phone alongside Galaxy S10. The video starts with Korean text that folds and then it goes on to become "The future unfolds" in English. Interestingly enough, if you take a closer look, you can observe the movement of text is turning into number 10, hinting at the Galaxy S10 range. Going by all these hints, we can safely assume, Samsung's upcoming Galaxy UNPACKED event is likely to witness the debut of a foldable phone. "The future of mobile will unfold on February 20, 2019. #SamsungEvent," said Samsung in its tweet. 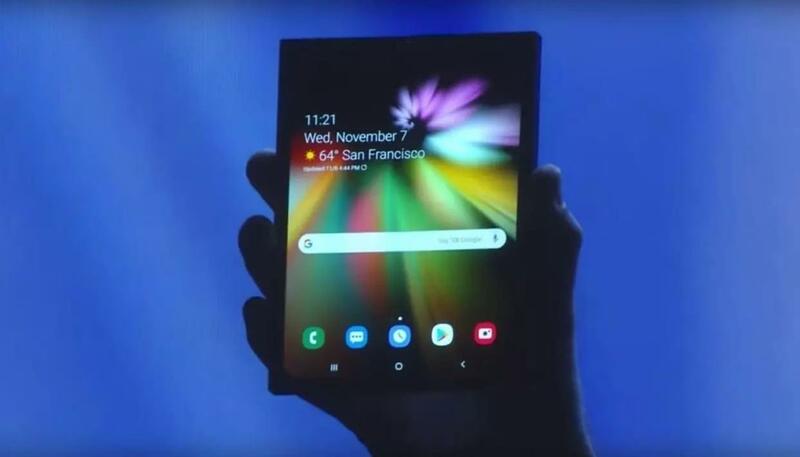 Back in November, Samsung broke the suspense and took the wraps off its rather futuristic foldable smartphone concept during the company’s annual developer conference in San Francisco. The concept revealed by Samsung looked a lot like a tablet when unfolded. Once it was folded, it ended up looking like one thick slab having the shape of a smartphone. The device is said to feature 7.3 inches full tablet-sized display that can be converted (or folded) into a smartphone. But apart from that, we don't know any others specs just yet. Around the same time last year, Google announced a new category called “foldables” at its own Android Developer Summit. Google briefly talked about its plans to support foldable displays in the future.